I’m not someone who is blessed with perfect skin (I mean let’s be real, who is?) and to be quite honest I go through these phases of adult acne that seems to pop out of nowhere every now and then. 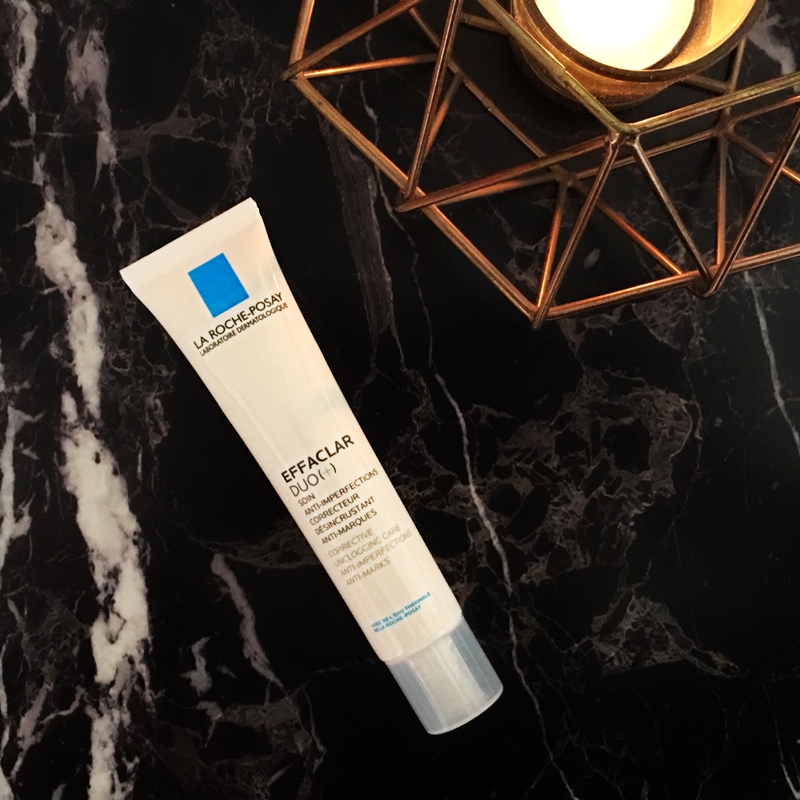 On a recent visit to my dermatologist, I was recommended I try a few products from La Roche Posay to combat my skin issues. Now I have combination skin – an oily T-zone and some weird dry patches all over my face. My skin is also sensitive and (highly) acne prone, so I’m always on the fence about changing up my skincare products. 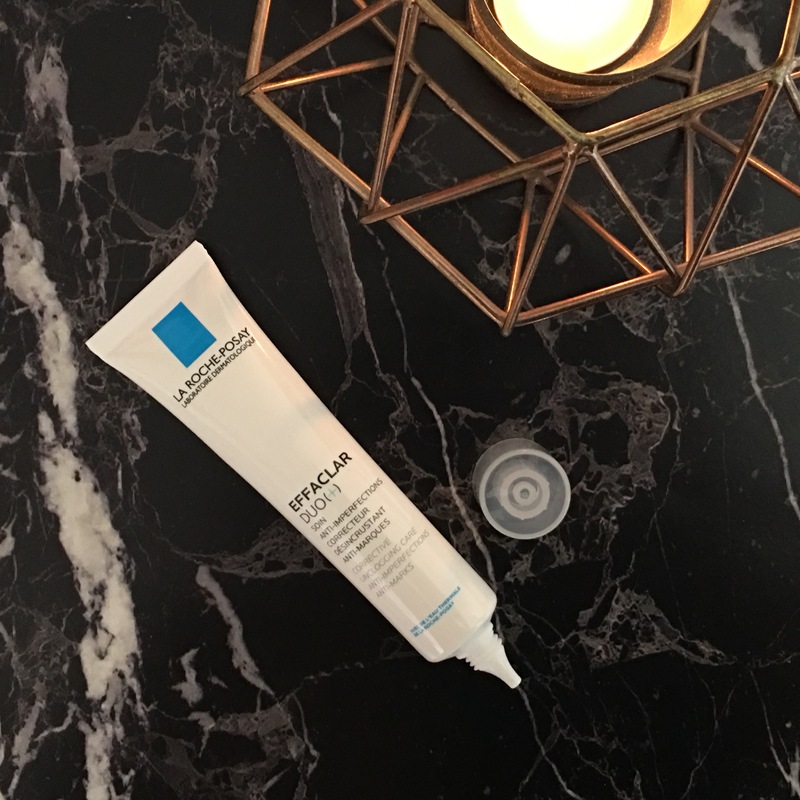 I had heard such great things about La Roche Posay products, so I finally decided to give them a try. I remember a time when everyone and their mother was raving about the effaclar duo and how it was a magic product that was going to change your skin (especially oily and acne-prone skin). Needless to say, that was the first product that I added to my ‘new’ skincare routine. Effaclar Duo (+) aims at controlling excess sebum production and helps to unblock pores. 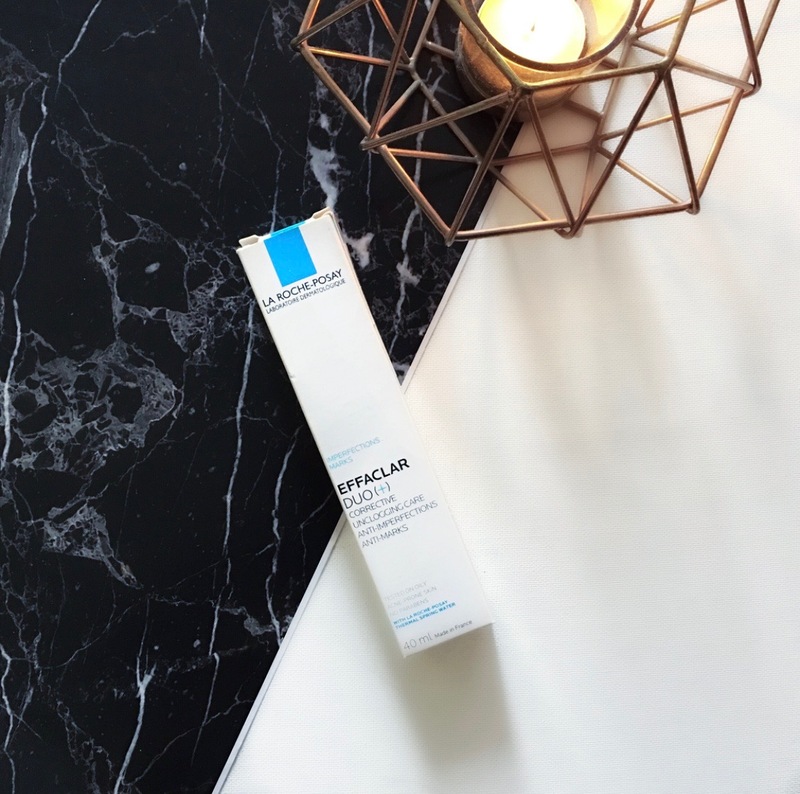 La Roche Posay claims (*as mentioned on their website) that after 24 hours your imperfections will look visibly less red; after 8 days the localised imperfections appear significantly reduced and after 4 weeks your pores look unclogged, skin texture looks refined. Also, controls the appearance of shine. 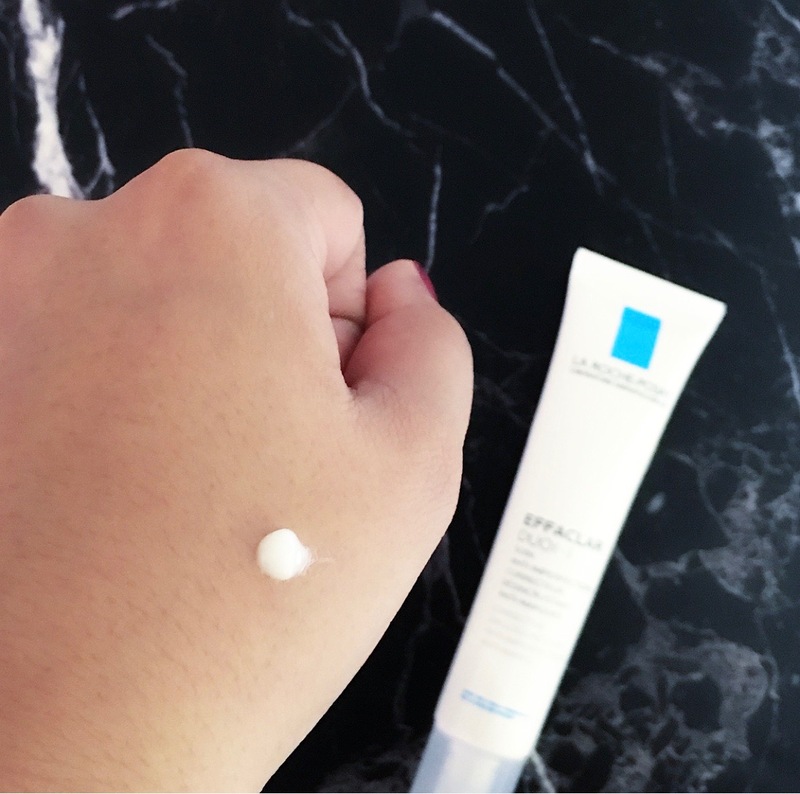 Effaclar Duo is essentially an oil-free, lightweight treatment for acne, clogged pores and blackheads. 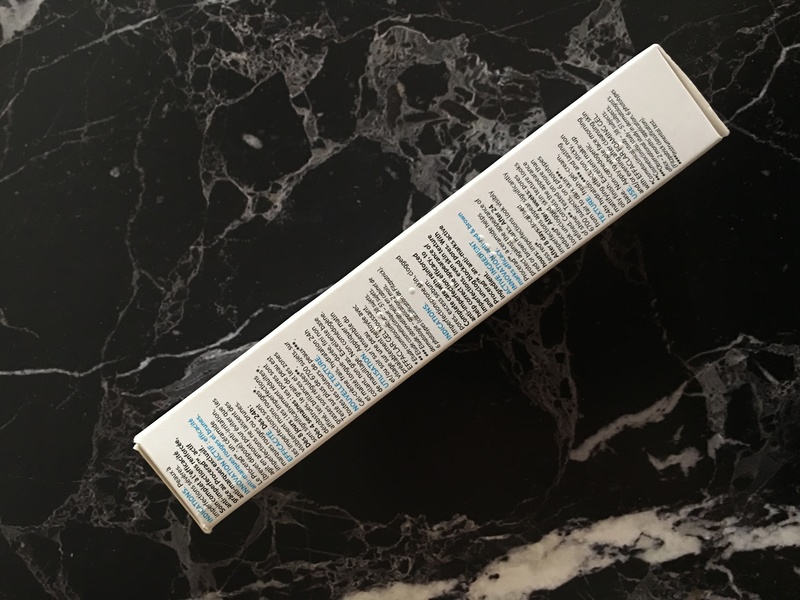 If you take a look at the ingredients, you’ll see it has Micronized Benzoyl Peroxide ( 5.5% ) that is targeted towards treating deep-rooted acne. Then there is LHA (lipo hydroxy acids, so Salicylic and glycolic acid) that gently exfoliates the skin and gives you soft, clear and smooth skin over time. 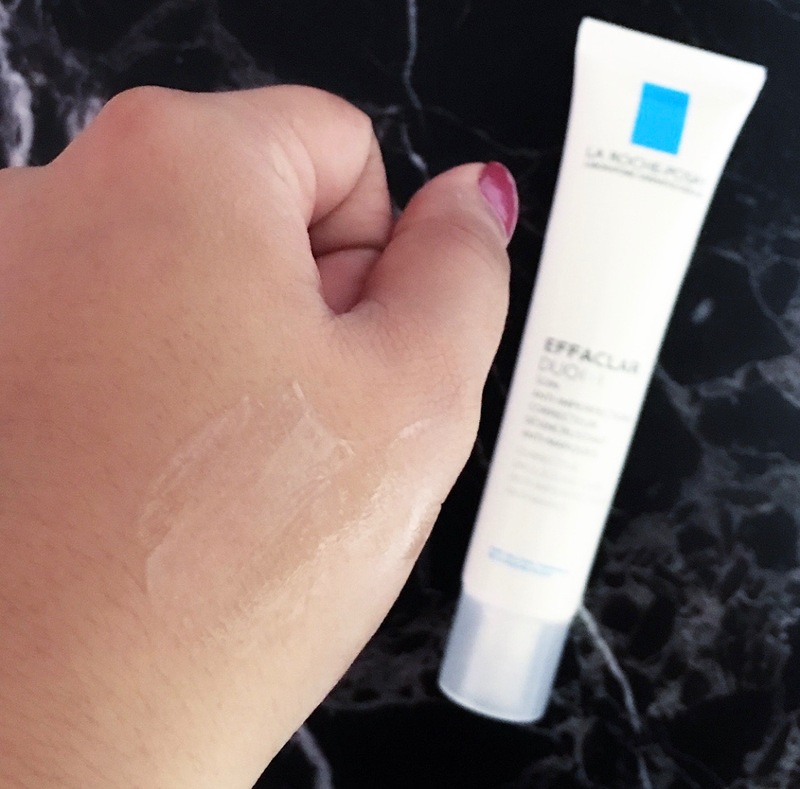 I’ve been using the Effaclar Duo (+) for about a month now and I have a pretty good judgement about what this has done for my skin. I use it twice every day (morning and evening) as a moisturiser. 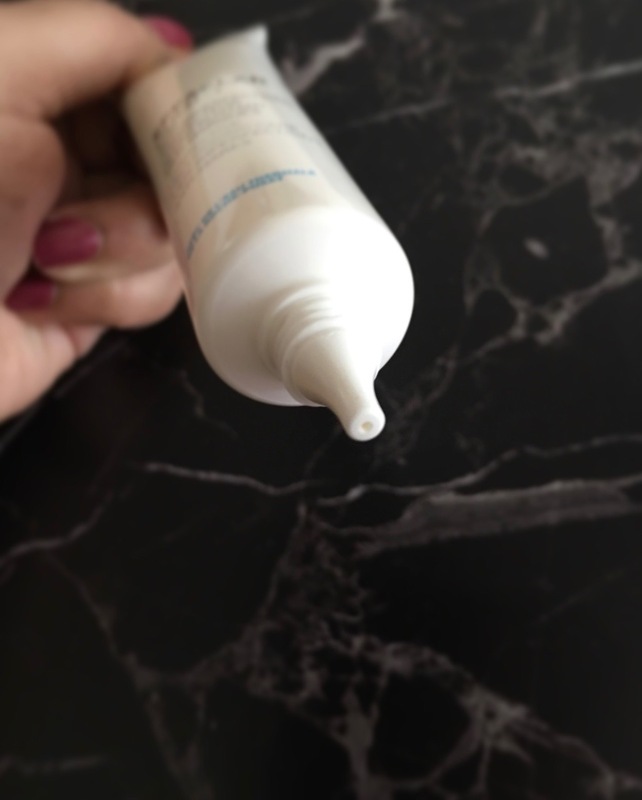 For my morning skincare, I layer an SPF 50 over top and on days where I have a meeting or a day out, I put my makeup over the top of this gel. 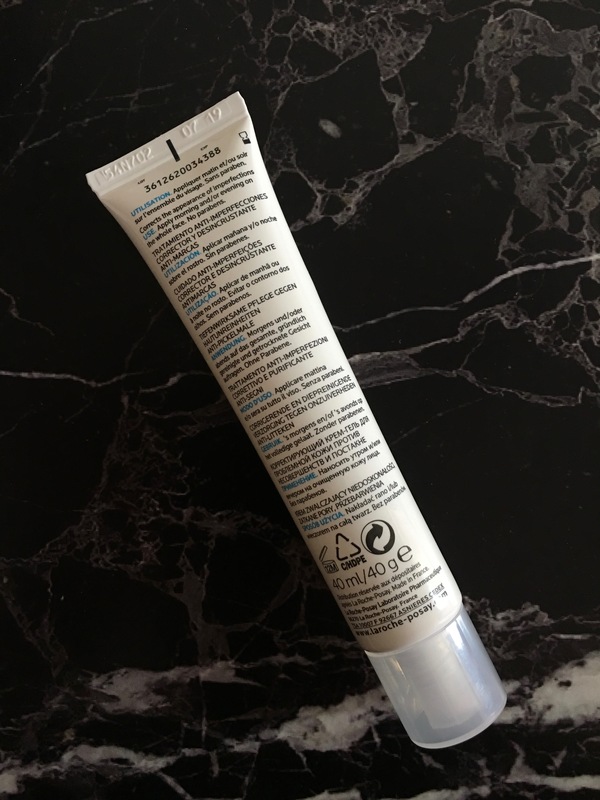 The packaging is really clean and simple – it’s a slim white and blue tube that has a nozzle top to dispense product (very hygienic!). What I love about the Effaclar Duo (+) is the texture. It’s a very light-weight gel that gets absorbed into the skin within seconds, without leaving any residue or sticky feeling on the skin. I think this will be perfect for both oily as well as dry skin people. If you have oily skin, this will not make your skin feel oilier because the gel is so light-weight that it will seep into your skin immediately. On the other hand, if you have dry skin, this gel will really hydrate your skin as it is very moisturising (without being heavy). It also has a very mild and pleasant fragrance, nothing that would bother anyone. You do not need a lot of product, I usually use a pea-size amount for my entire face, so the tube is going to last you a while. Is this a holy grail product yet? Maybe yes, I think might have found the one for my skin! I’m going to continue using it for a few more weeks before deciding whether or not this will get a permanent place in my skincare routine. I had the same impression, but once I started using it, I felt it was hydrating enough for my skin and didn’t dry it at all. Although, slowly I’m trying to go off of it and use it more as a spot treatment rather than all over the face. I don’t want my skin to get ‘used’ to it.